Whetstone will become SVP of policy and communications at Uber. Uber has appointed Google comms veteran Rachel Whetstone to serve as SVP of policy and communications. According to Re/code, Whetstone will take over the position from David Plouffe, who joined Uber last August and is now moving into a chief advisor role for the company and to CEO Travis Kalanick. Plouffe, who will also join Uber’s board, will focus on more external efforts and strategy rather than daily responsibilities at the ride-sharing company, according to the report. Representatives from Uber were not immediately available for comment. Google said in an emailed statement that it has nothing to add beyond the Re/code article. 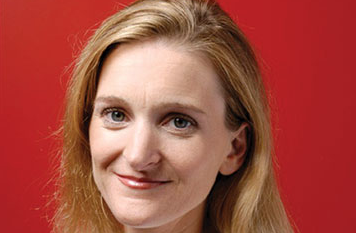 Google’s Jessica Powell will reportedly become the tech company's interim global communications head. Whetstone, most recently SVP of public policy and communications at Google, has been at the tech giant since 2005, taking on the top comms spot in 2008. She has been ranked on PRWeek’s Power List numerous times through the years. Last summer when Uber was seeking an executive to lead communications, the company was reportedly interested in Whetstone among other well-known communicators for the role. On Monday, PRWeek reported that Evelyn Tay, head of Uber’s APAC comms, left after just a year at the company. Over the last year, Uber has seen a number of departures from its communications team, including former head of corporate comms Andrew Noyes, former EMEA head of comms Rachel Channing, and EU head of policy Dominick Moxon-Tritsch. Last month PRWeek reported that Uber brought on Gareth Mead from Virgin Media to lead communications in EMEA, while moving its PR function back in-house. At the end of January, Uber teamed up with Mothers Against Drunk Driving to get partiers to consider ride sharing as a safe alternative to driving home on Super Bowl Sunday. The initiative was launched on the heels of Uber facing various reputational challenges in the last year, such as backlash for an exec suggesting the company research the personal lives of critical journalists. Uber has also been dealing with dozens of lawsuits that accuse the company of incidences in the US including wrongful death, regulatory complaints, and withheld tips, as well as challenges from taxi drivers and unions in various cities and states.